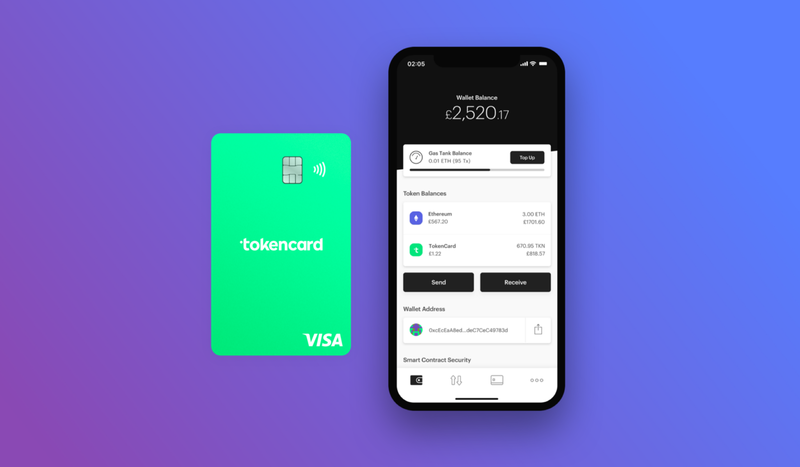 TokenCard Visa Debit Card Alpha Access, Sign Up Now! TokenCard Contributor Alpha Access, Sign Up Now! ✅ Participated in our crowdsale, as of this top 1,000 snapshot. ✅ Currently reside in the UK or EEA. If you tick all the boxes above, read below for how to get started. Want to get involved, but didn’t contribute to the crowdsale? Don’t worry — sign up using the link below to be invited to the alpha within a couple of weeks. 1️⃣ Sign up at tokencard.io/alpha with your email address — this is so we can send you an invite to start testing on Apple’s TestFlight for iOS. 2️⃣ In order to ensure that you’re really you, and that you have ownership of a wallet that contributed to the TokenCard Crowdsale back in 2017, we ask that you send a specific amount of ETH (less than $0.02) to one of our addresses. 3️⃣ Once we’ve confirmed that the send-from address matches your Crowdsale address, we’ll send you a link to download the TokenCard app from TestFlight! All ETH you send us will be refunded as soon as possible. 4️⃣ Download Apple’s TestFlight to access the TokenCard app alpha. TestFlight is the tool we’re using to test the TokenCard app during the alpha; it allows us to deliver the latest builds of the app to you in a manageable way, and makes it easier for us to collect feedback. You won’t need to re-install or redeploy your contract once we move to the App Store! 5️⃣ Once we’ve invited you to download the TokenCard app, follow the instructions in the app to deploy your Contract Wallet and register interest for the card. 6️⃣ We’ll then enable access for you to sign up, complete KYC, and apply for your TokenCard. Finally, we’ll let you know when your card is in the post! What are you waiting for? Get started. TestFlight (left) and registering your interest for the TokenCard (right)! I’m not a Crowdsale contributor, what do I do? We’ll start sending out TestFlight invites for those who were not involved in our Crowdsale a couple of weeks from now — all you need is an iPhone and to be a resident of the UK or EEA. To get your invite first once it’s available, head to tokencard.io/alpha today and sign-up with your email address. First things first, this is a closed alpha. Even though we’d really like to invite all of you today, we need to prioritise managing and stress-testing our services during the alpha. Because of this, we’ll be onboarding alpha testers — starting with our Crowdsale contributors in the UK and EEA — in batches. Lastly, we have one ask of you throughout the alpha: test, test, test. We want you to use the card, break the app, and tell us of anything you love or hate about the product. This way, we can make it even better for when we go out to a wider audience. Head to our Discord and join our new #tokencard-alpha channel, or simply drop us a note on Twitter @tokencard_io. We’re bringing the Ethereum economy to life. Together. Thank you; we’re excited to get cards out there! TokenCard’s vision is to realise the token economy by establishing it in daily life, and we’ve started with money.